Metallized plastic Hood provides excellent noise protection. 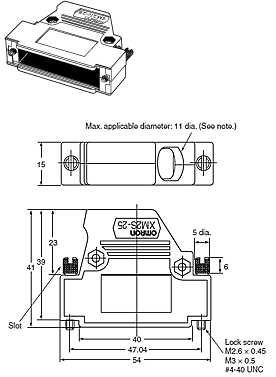 Connectors are available with cables connected horizontally (9-pin and 25-pin models only) to enable using the space behind the Connectors more effectively. 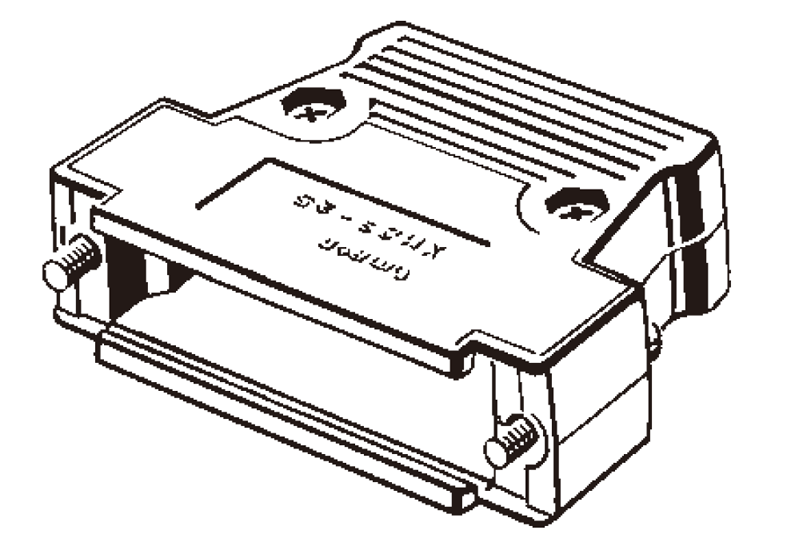 Note: The cable bushing, cable clamp, shielded tape and assorted screws are supplied. 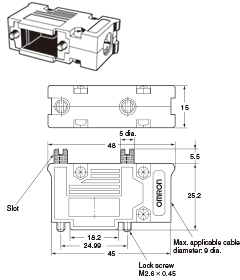 Note: The maximum applicable cable diameter is 9 dia if the cable clamp supplied is mounted facing the rear. 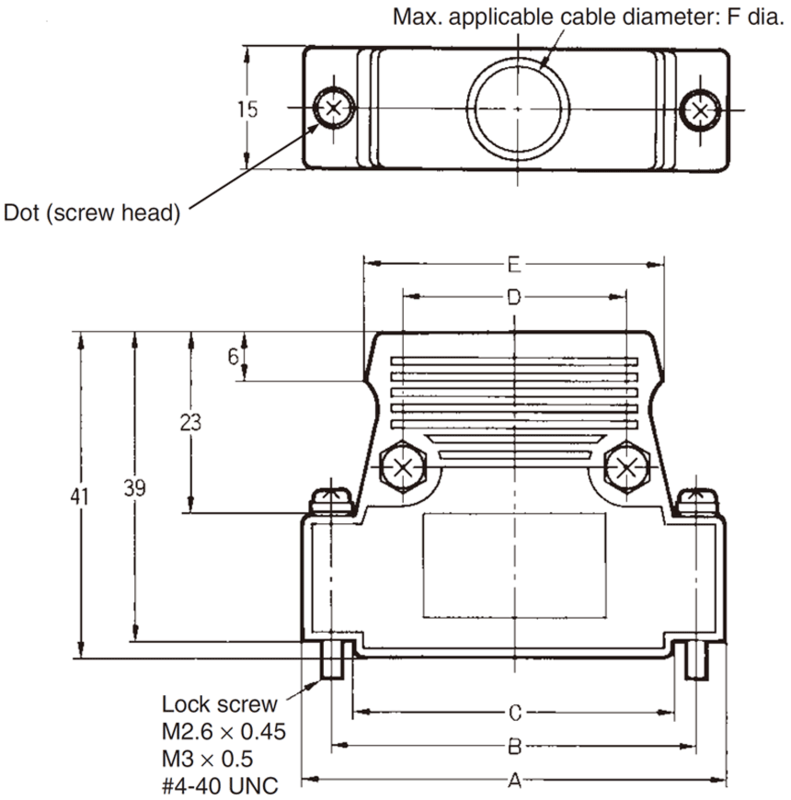 Do not use a cable bushing in this case.